When one thinks of chicken rice in Melaka, it’s usually chicken rice balls. But chicken rice ball is mostly prepared by the Chinese and halal ones are extremely rare. Luckily, there are plenty of halal chicken rice options in Melaka and many of them are as good as the non halal versions, albeit different in taste and style. Besides Nasi Ayam Baba, Nasi Ayam Bonda is our other recommendation for delicious halal chicken rice. 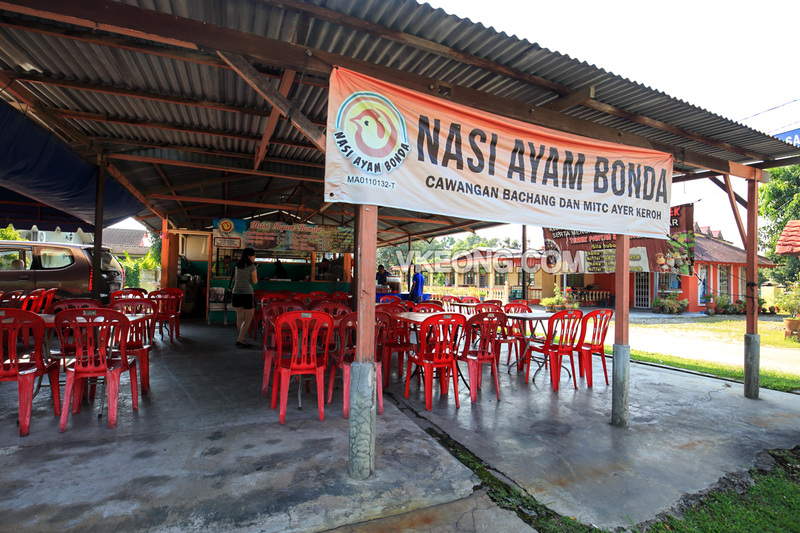 Nasi Ayam Bonda has two branches in Melaka and their first outlet is located in Kampung Bachang. 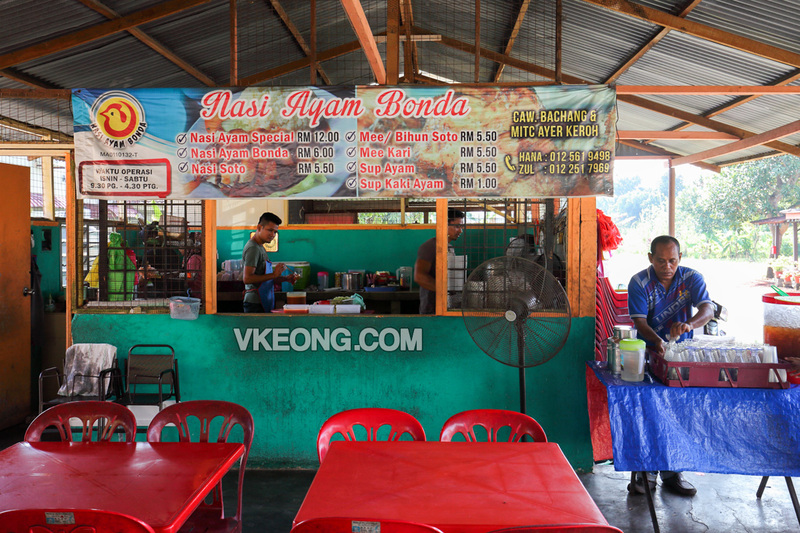 It is only few minutes’ drive away from the famous Roti Canai Kayu Arang. Since they are open from 9.30am, feel free to come here for your second breakfast after an early session of roti canai. The first thing we noticed about Nasi Ayam Bonda’s chicken is its reddish appearance, like too spicy to eat. 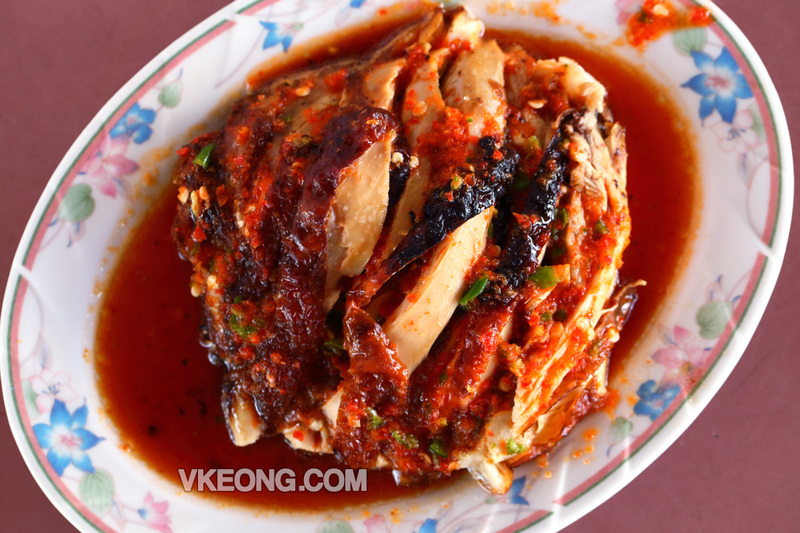 But in reality, the sauces (mix of sweet chili and soya sauce) that they pour onto the chicken tasted savory and tangy with a hint of spiciness. Simply appetizing. The chicken itself was nicely fried and had a tender bite, which could fool us into thinking they were roasted instead. Price wise it’s RM6 a portion and there’s a special version @ RM12 which comes with double amount of rice and chicken. As for the rice, you can see that it was perfectly cooked to a fluffy consistency that fall into separate grains when fluffed. Honestly speaking, this kind of quality is rare for halal chicken rice, as most places tend to cook it a bit sticky and mushy. Overall it was a great (and unique) chicken rice experience and I urge that you give Nasi Ayam Bonda a try if you are tired of queuing for chicken rice balls. That said, this place is more like a ‘warung’ so if you prefer a more restaurant-ish environment, check out their newer branch at MITC. The post Nasi Ayam Bonda @ Kampung Bachang, Melaka appeared first on Malaysia Food & Travel Blog.